The European Language Equality Network / La Xarxa Europea per la Igualtat Lingüística (ELEN), following the Catalan Parliament election held on 21st December 2017, reaffirms the Resolution passed unanimously by its General Assembly held in Valencia in November. ELEN re-asserts its total support for the defence of civil, political and linguistic rights in Catalonia and calls on the European Union to uphold these rights and facilitate negotiations between the Spanish state and the Catalan Government with independent and neutral mediators. The organization also calls on the Spanish State to comply with its obligations established in the constituent Treaties of the European Union that requires respect for the linguistic rights of Catalan speakers, the electoral results, and democracy. 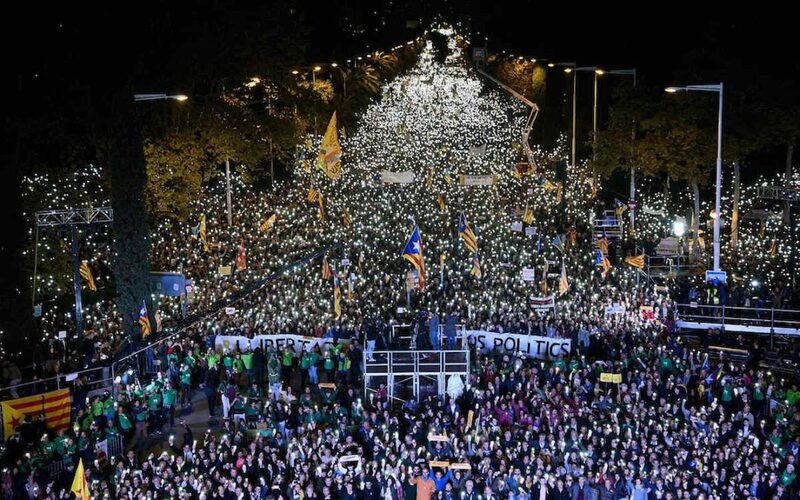 As a matter of urgency, ELEN calls on the Spanish State to free all Catalan political prisoners immediately: Oriol Junqueras, Joaquim Forn, Jordi Cuixart and Jordi Sànchez; abolish the imposition of direct rule over Catalonia enacted by Article 155 and restore the legitimate government; ensure justice and compensation for those attacked by the Spanish police during the October 1st referendum; and ensure the status of the Catalan immersion education model. ELEN members in Catalonia are Plataforma per la Llengua, Fundació puntCAT and Òmnium Cultural. Jordi Cuixart, Òmnium’s President, has been imprisoned for over two months, pending trial, on charges of sedition. ELEN is the European NGO working for the protection and promotion of lesser-used languages, languages spoken by 10% (around 55 million) of the EU population. ELEN comprises 150 member organisations representing 45 languages in 23 European states.